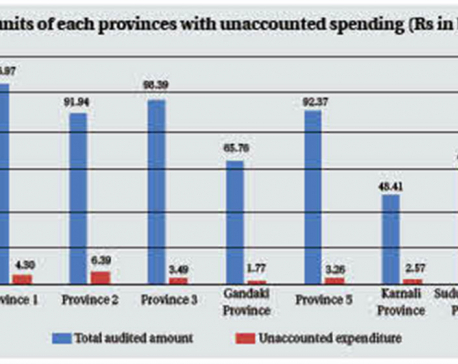 KATHMANDU, April 13: Unsettled expenditure of the local bodies has increased by a whopping 150 percent in the fiscal year 2017/18 to Rs 21.74 billion as compared to the previous year. 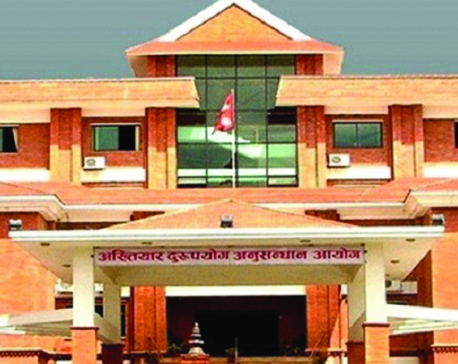 KATHMANDU, April 13: High profile individuals including a member of provincial assembly and a senior advocate have filed complaints at the Parliamentary Hearings Committee (PHC) against the nominees of the Chief Election Commissioner (CEC) and Supreme Court justices. 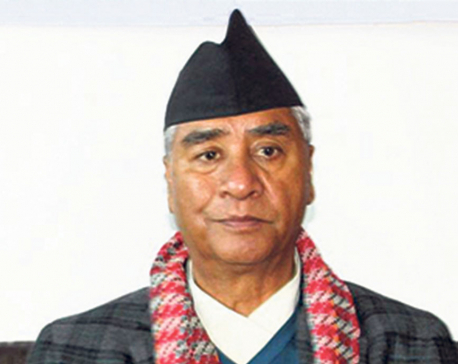 KATHMANDU, April 13: The annual report of the Office of the Auditor General has questioned the spending of Rs 29.7 million by the federal parliament for decorating the chamber of National Assembly (NA) chairperson Ganesh Timilsina and secretary Rajendra Phuyal. 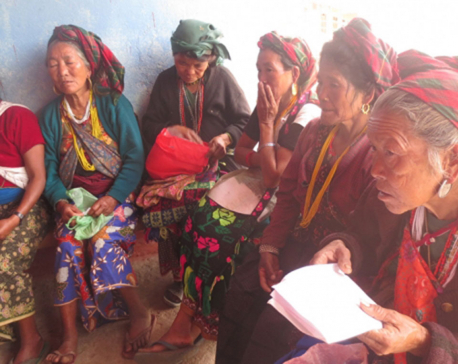 PARBAT, April 12: Dr Sabitri Gurung, commissioner of Commission for Investigation of Abuse of Authority (CIAA), said the anti-graft body was scrutinizing the performance of local people-elected representatives with the rise in public complaints on irregularities and corruption. 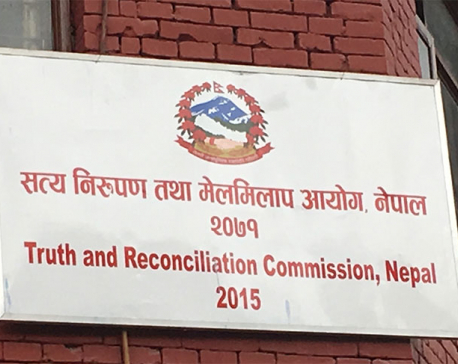 KATHMANDU, April 12: The Truth and Reconciliation Commission (TRC) has expressed concerns on data security. 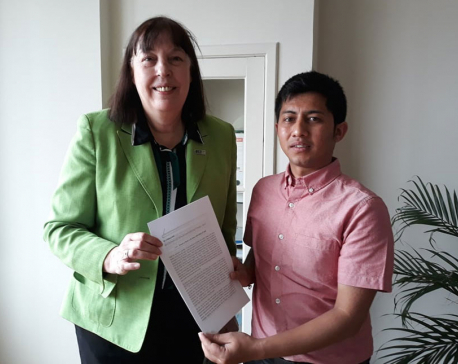 The TRC and Commission of Investigation on Enforced Disappeared Persons (CIEDP)'s tenure ends today – four years after both the transitional justice bodies – were established in February 2015.